URGENTLY WANTED - POSTCARD SHOW INFORMATION FROM PROMOTERS. THOUSANDS OF REGULAR VIEWERS AT THIS WEBSITE ARE HUNGRY FOR INFORMATION ON YOUR UPCOMING POSTCARD SHOWS. 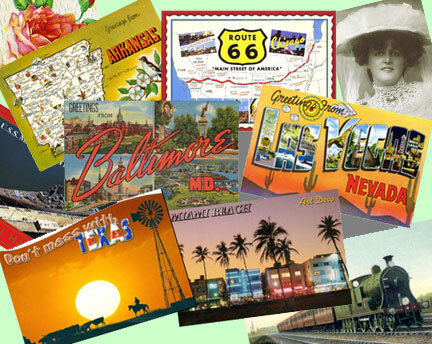 If your Postcard Show is not listed, Click here to e-mail the information. If you are a collector or dealer in worldwide postcards, paper collectables etc., and are looking for a POSTCARD SHOW close to where you live then this website is for you. POSTCARD SHOWS provides the dates, places,directions and latest information on hundreds of different POSTCARD SHOWS worldwide and is updated regularly. POSTCARD SHOWS covers all sizes of POSTCARD SHOWS from the small one-day dealer bourse to large International Postcard Expositions. Happy browsing. Postcard Shows from all over the world are being added as soon as information is received from the promoters. Your input is eagerly wanted - Click here to email the postcard show information. Promoters, please read this first.